Eaton Cutler Hammer Motor Control Center. 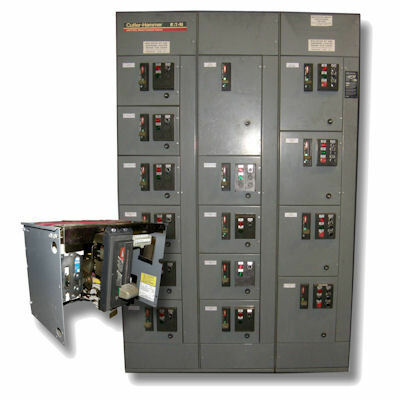 Southland Electrical Supply Offers Custom Built Complete Motor Control Centers, Fused Or Breaker Type, Size 1-7 Full Voltage Non-Reversing (FVNR), Full Voltage Reversing (FVR), 2 Speed, Reduced Voltage, Autotransformer, Variable Frequency Drive (VFD), Or 30-2000 Amp Feeder (FCB) Cubicle Bucket Inserts Using Your Specifications, Drawings, And / Or Samples. Call 800.476.1486 Today For Complete Motor Control Centers, Fused Or Breaker Type Cubicle Bucket Inserts, Renewal Parts, Spares And All Your Motor Control Needs.